Royal Trux will return with their first album in 19 years in a little over a month's time, and they've teased the arrival of White Stuff with a video for the title track. 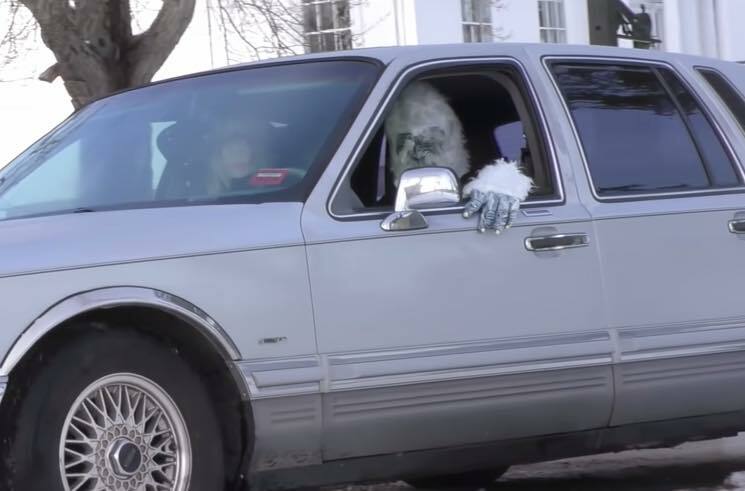 The clip takes viewers on a wild ride, featuring VHS-quality footage of everything from music festivals to exploding cars to people getting pied in the face — and a dude in a white gorilla suit driving around. It was directed by Brain Drain Industries. Watch the video for "White Stuff" below. White Stuff is due out March 1 via Fat Possum, and marks the band's follow-up to 2000's Pound for Pound. As previously reported, Royal Trux were forced to postpone their upcoming tour dates. The rescheduled shows have not yet been announced.